Dragonsword Tour (Facebook page) is a participatory, immersive tour: Experience Japan, and be part of it – rather than being ‘on the outside looking in’. Enjoy exclusive access and opportunities rarely afforded to Westerners and Tourists. Indulge in rare opportunities such as lectures and guided meditations with an official Zen Monk at Myoshinji Temple in the ancient capital of Kyoto: including a tour of Mysohinji with an English-speaking monk. Travel to the famous historical town of Seki, famous for the past 700 years as the sword-smithing centre of Japan. Enjoy VIP access, lectures, and workshops at an esteemed smithing forge: where you can help to create your own Kozuka (small samurai knife), that will be professionally polished and mounted for you, ready to take home! Step back in time as you visit and explore the World Heritage town of Shirakawago. Travel to the famous Gero Onsen where you can relax in five star Japanese style accommodation and spa resort – soak and unwind in the purest, healing hot spring waters in Japan! With a Sake wine tour in Tokoname and Traditional Japanese accommodations and an English speaking tour guide native to the region present for the entire trip, this is truly not an experience to be missed. When I saw Sam Mendes’ Skyfall, I focused on the island scene where the villain Raoul Silva (Javier Bardem) tells James Bond (Daniel Craig) about Silva’s ability to intervene in geopolitical events, such as to affect election outcomes. It’s a classic scene about geopolitical risk arbitrage. Two weeks ago I bought Daniel Ammann’s King of Oil (New York: St. Martin’s Press, 2010) and A. Craig Copetas’s Metal Men (E-Reads, 2010) about the legendary commodities trader Marc Rich. I remembered Bill Clinton’s last-minute pardon of Rich, whilst I was editing the alternative news website Disinformation. Now, over a decade later, I had a new appreciation of Rich’s oligarchical, market-making career. The quintessential Davos man was Marc Rich. Born in Belgium, which he left for the United States to escape the Nazis, he revolutionized the world trade in commodities. Markets emerged where none had existed—most consequentially, for oil. Breaking the grip of the big producers required creativity, both in business and in law. He carried out transactions that a more nationalistic—or merely more ethical—trader would have spurned. Rich is perhaps a real-life model for Skyfall‘s Raoul Silva. The Economist obituary — and Ammann and Copetas’s books on Rich — are filled with the kind of juicy, biographical details which are necessary to trade the commodities and foreign exchange markets, but which are often missing from trading books. There are currently between 150 and 250 firms in the United States that can claim membership in the club known as Big Law, the group of historically profitable firms that cater to the country’s largest corporations. The overwhelming majority of these still operate according to a business model that assumes, at least implicitly, that clients will insist upon the best legal talent instead of the best bargain for legal talent. That assumption has become rickety. Within the next decade or so, according to one common hypothesis, there will be at most 20 to 25 firms that can operate this way—the firms whose clients have so many billions of dollars riding on their legal work that they can truly spend without limit. The other 200 firms will have to reinvent themselves or disappear. 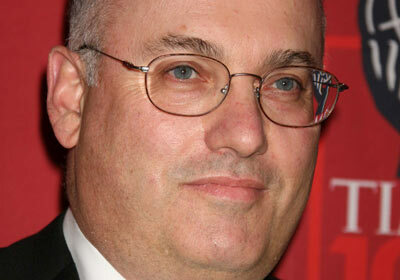 On 19th July 2013, the Securities & Exchange Commission filed an Enforcement Notice (PDF) against SAC’s Steve Cohen, alleging failure to supervise the hedge fund’s investment managers. The SEC has targeted Cohen for over a year. Its pre-case featured in Charles Gasparino’s book Circle of Friends (New York: HarperBusiness, 2013). Veteran business journalist Bryan Burrough interviewed Cohen in 2010, and then looked at the US prosecution case in 2013. Cohen’s lawyers later released a ‘white paper’ rebuttal of the SEC’s claims (PDF). Cohen has a fearsome reputation as a trader. He hired the late performance psychologist Ari Kiev to mentor traders, and featured in Kiev’s book The Mental Strategies of Top Traders: The Psychological Determinants of Trading Success (Hoboken, NJ: John Wiley & Sons, 2010). But now the SEC claims that Cohen’s trading prowess comes from ‘black edge’: insider trading based on material, non-public information from expert networks and other sources. The case is filled with interesting details for hedge fund and trading watchers. It might become a PhD case study or academic paper for me. Cohen has never been easy to invest with. He deliberately charges some of the highest fees in the industry — his 3-and-50 makes the standard 2-and-20 seem downright generous. And even then it has historically been very hard to get him to agree to manage your money. Cohen makes his fund inaccessible for a reason: he knows how hard it is to scale the astonishing results he’s been posting, year after year, and that at the margin, the bigger he gets, the lower the returns he’s likely to see. The way that SAC works is that Cohen gives his individual traders, and teams, their own trading accounts, with millions or billions of dollars: the traders who make the most money get the biggest allocations. Traders get paid a percentage of the profits they make, which makes them compete against each other: in order to be successful at SAC it isn’t good enough to make good profits. Instead, you have to make better profits than any of the other traders — who themselves are some of the best in the business. If you can’t do that, you get fired. If you can do that, you get to manage ever-increasing amounts of money — plus, Cohen will mirror your positions in his own account, the largest at the firm, giving you a shot at extra profits over and above the ones generated by your own positions. In the immortal words of David Mamet, first prize is a Cadillac El Dorado. Second prize is a set of steak knives. Third prize is you’re fired. I took the NEO-PI-R personality test again recently (here), on the Big 5 personality traits, whilst reading Jason Williams’ book The Mental Edge In Trading (New York: McGraw-Hill, 2012). The individual weights have changed slightly over the past two decades, but are broadly similar to personal results from the Myers-Briggs, Enneagram, and McQuaig Survey tests. As with any test there are anchoring/representativeness biases and life experience factors that affected the weighted scores. The NEO-PI-R test describes me as active, independent; an outsider; intellectual with artistic interests; fact-oriented; disciplined; achievement-striving (work-obsessed); cautious; friendly; have high self-efficacy; can be altruistic; aware of emotions; and politically liberal. ● Style of Well-Being: E- N- (Low Keyed). ● Style of Defense: O+ N- (Adaptive). ● Style of Interests: O+ E- (Introspectors). ● Style of Anger Control: A- N- (Cold-Blooded). ● Style of Impulse Control: C+ N- (Directed). ● Style of Interactions: A- N- (Competitors). ● Style of Activity: C+ E- (Plodders). ● Style of Attitude: A- O+ (Free-Thinkers). ● Style of Learning: C+ O+ (Good Students). ● Style of Character: C+ A- (Self-Promoters). 1. The financial media uses character archetypes that I dis-identify with. CNBC is basically entertainment. Other news media reduce financial trading to easily digestible character archetypes: a technique I learned from Hollywood script-writing. The common character archetypes include: (1) the young rookie at an intraday arcade who will likely not survive what is a transitional job; (2) the newly retired professional who has taken trading courses; (3) the ‘pro-am’ (professional amateur) trader who has an expensive, video-game like office (Evan Davis’s The City Uncovered documentary); (4) traders who have emotional meltdowns (Lex Van Dam and Anton Kreil‘s Million Dollar Traders series); and (5) the obligatory journalistic disavowal of all of the above. Whilst each of these character archetypes have warnings they also do not highlight the successful cases documented in Jack D. Schwager’s Market Wizards series, and similar books. The gap between the two is a little like the difference between Freudian abreactive therapy and Ericksonian solution-focused brief therapy: the first focuses on remembering and reliving the past, and the second on moving forward. 2. To develop your trading playbook you need to carefully screen and evaluate information. Bellafiore contends in The Playbook that all traders need to develop a collection of trading set-ups and strategies that reflect individual personalities and preferences. This requires immersive action-reflection cycles in the financial markets. It demands careful attention to money management rules. A deep study of financial markets history and cultural ethnography can also help. This knowledge emerges from research and experience. It is usually the opposite of what the financial media stresses, or the introductory material found in many courses on foreign exchange and options that target new traders. Alpha generation lessons on how to structure a trade and when positive expectancy might exist can be applied to many areas of your life. 3. Market inefficiencies can be relational. Most academic research and financial media coverage is influenced by the strong form of the Efficient Markets Hypothesis (EMH): markets reflect all public information; that is known equally to all market participants; and there are no transaction costs. Market participants are closer to the weak form of the EMH. Consequently, financial media coverage often mistakenly contends that market inefficiencies are zero-sum, and that disappear once identified. This creates a scarcity narrative or a ‘race to the bottom’ dynamic. However, behavioural finance proponents note that market inefficiencies can also be relational: assets under management size; fund style; or investor capital outflows due to fund ratings can affect some traders and not others, for instance. George Soros, Michael Steinhardt, Jim Simons, and other fund managers have used this insight. The late psychologist Ari Kiev taught game theory to traders at Steve Cohen’s SAC so they could work out what other traders and fund managers were possibly doing. It is also why the study of market microstructure (order, price, and trader dynamics in markets) has changed the knowledge base of trading in the past decade. For instance, high-frequency trading (HFT) changed the asset price and time series dynamics that some intraday traders had relied on. HFT was a possible regime change in markets. But it didn’t end trading, altogether. Rather, it meant that individual trading playbooks had to be updated. 4. Trading psychology focuses on performance. I have most of the books by trading psychologists Ari Kiev and Brett N. Steenbarger. This week, I added two new additions: Denise Shull‘s Market Mind Games (New York: McGraw-Hill, 2011) and Jason Williams’ The Mental Edge In Trading (New York: McGraw-Hill, 2012). I downloaded Doug Hirschorn‘s PhD on trading psychology and performance evaluation. Trading psychology has introduced me to John Coates’ work on neuroscience, and reintroduced me to Mihaly Csikzentmihalyi‘s study of ‘flow’ or optimal, mindful states. This body of work can be applied to many different areas of your life. It illustrates how rigorous academic research can be utilised in professional domains. Trading’s performance expectations are now showing up in many other industries where life-long employment is no longer a given. Trading’s mindset, pace, and action orientation gives me some of the frameworks and methods to self-disrupt my job, and to accelerate action-reflection cycles where a ‘winner-takes-all’ dynamic exists. For instance, academia used to be like the bond market: 20-to-30 year cycles and an expectation of life-time academic tenure. Now, it is more like options, futures, and foreign exchange markets: more short-term time-frames; faster decisions; and more volatility. I’ve had multiple career changes in academia over the past 10 years. The trading experience changed my expectations of what an academic career would be like. For most people, still put your money in a low-cost index fund, though, like Vanguard or Dimensional. 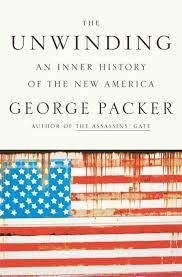 I’m spending this weekend with George Packer’s new book The Unwinding: An Inner History of the New America (New York: Farrar, Straus & Giroux, 2013). It’s a collection of micro-histories (Johan Galtung & Sohail Inayatullah): how individual lives are affected by socio-economic and socio-political upheavals, and the consequences of choices made. Packer modelled his book on John Don Passos’ USA trilogy, and, perhaps, Studs Terkel. It’s a gripping read.